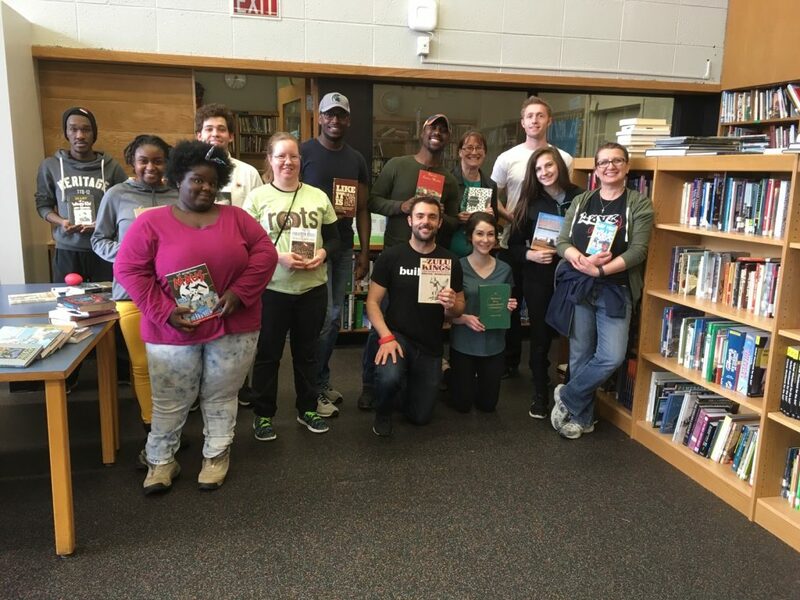 Blackbird Literacy – Books for Detroit. Infinite possibilities. We now have our 501(c)3 status as a non-profit. Tax-deductible donations can be made by clicking the support button below, or you may email info [@] blackbirdlit.org if you’d like to donate or volunteer. The amount of influence the ability to read can have on a lifetime is infinite. Yet the need for literacy education in Detroit is staggering: Nearly 50% of the adult population is functionally illiterate. Many literacy programs and schools are anemic. Detroit’s Osborn High School, for example, received a grant to convert a classroom into a library, yet they did not have a single book to put into it. In late 2016, we thought it would be easy to collect a box or two for them. We ended up collecting 20 huge boxes of books quickly–easily between 1,000 and 2,000 titles. Below is a photo of students and teachers at Osborn in their new library, holding some of the books we sent. Thankfully, interest in supporting literacy in Detroit continues to flourish. The amount of influence the ability to read can have on a lifetime is infinite.